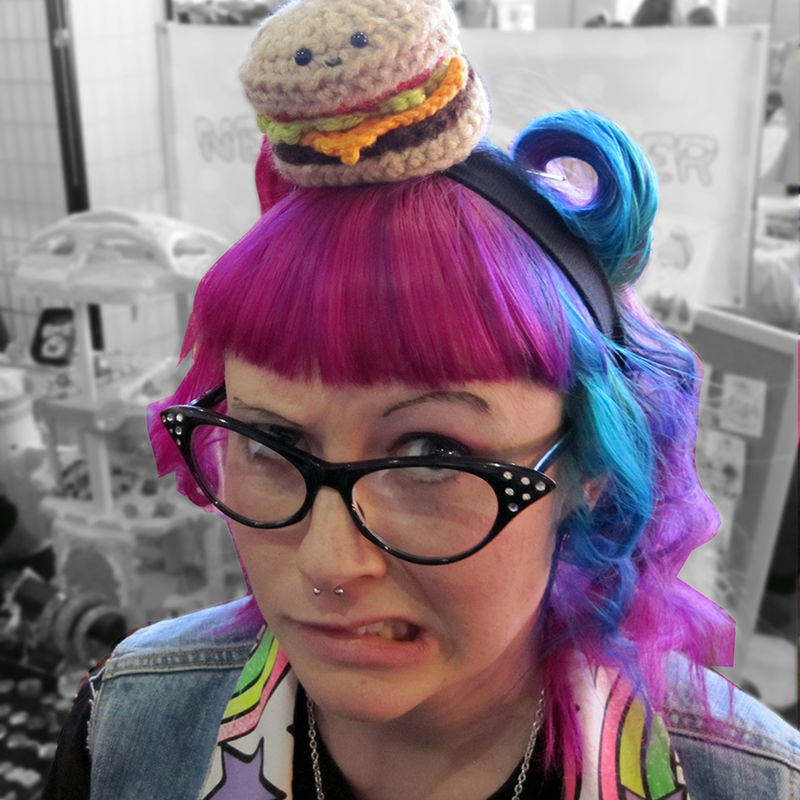 Taking inspiration from those Harajuku Girls of Tokyo, she wears a knitted burger on her head of pink and blue hair, shows her 90’s pride with badges on a denim vest, and just when you think it can’t get anymore devoted!?! BAM! She’s rocking a pair of tights with Troll Dolls all over them! Cazz had us in hysterical laughter when we chatted with her. More than happy to be snapped for The Canberran, she worked for the camera, but it was so very hard to keep a steady shot, with all the outrageous one-liners she was cracking out! We want to see more Troll Doll tights on the streets. 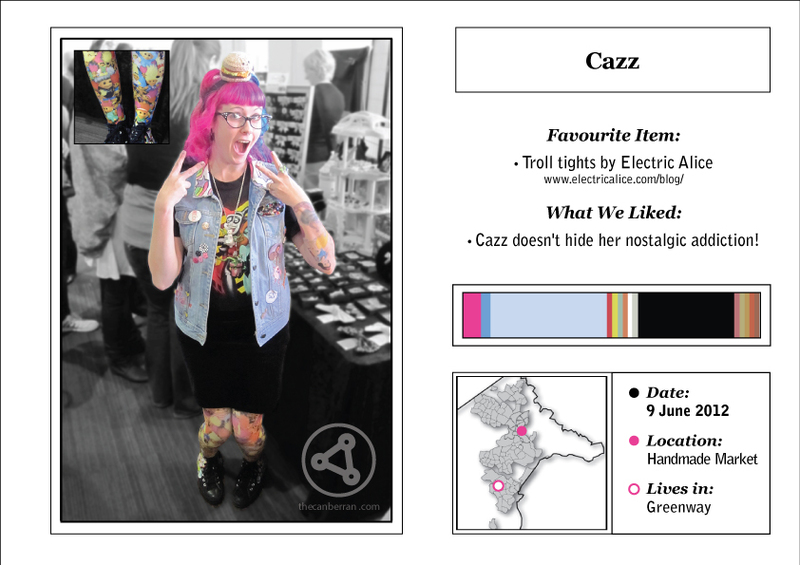 Cazz runs a handmade store appropriately named Nerd Burger and her flashback trinkets are available on Etsy and via her blog.